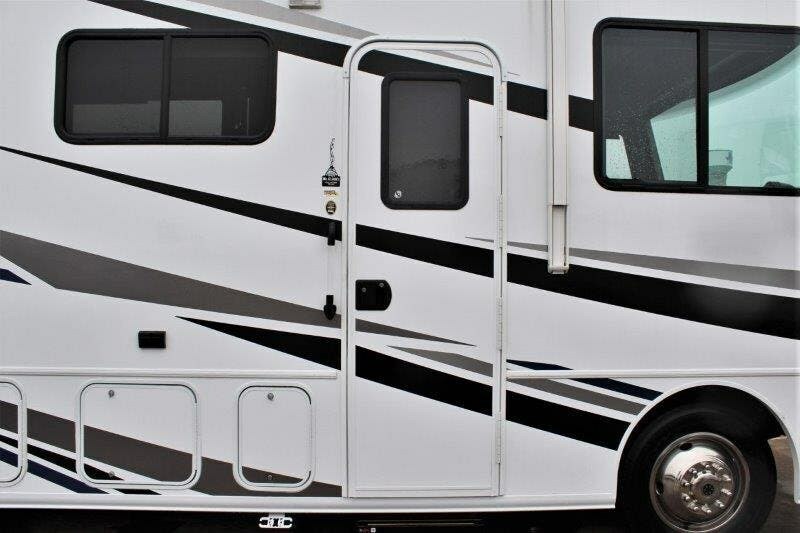 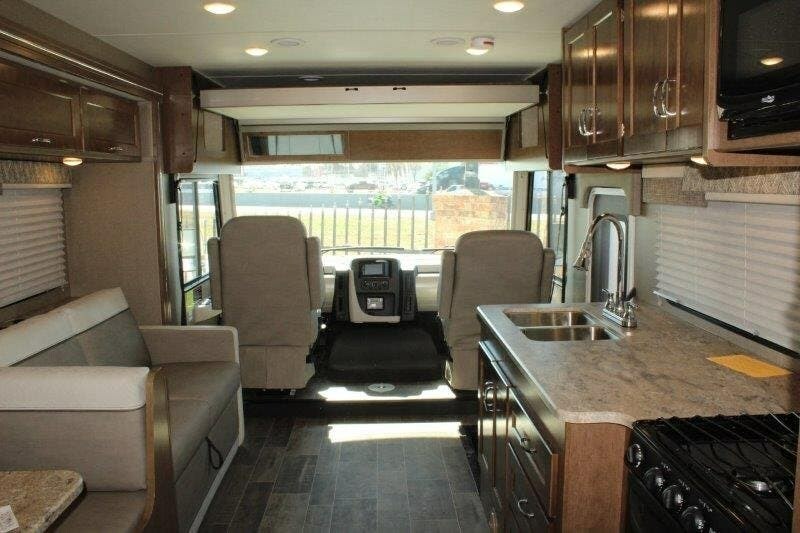 It's time to find the perfect class A gas motorhome for you and your family! 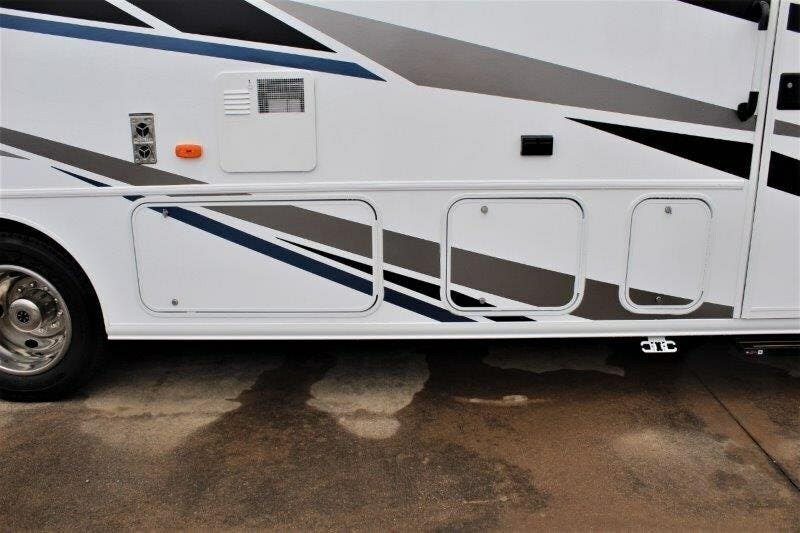 From the StudioLoft bed over the cab area for the kids or grandkids, the dual slide outs for more interior floor space, or the Tailgate package for outside entertainment, you will love all these features plus many more for years to come.Step inside this Intent 30R just behind the passenger seat to find the cab area to your right. 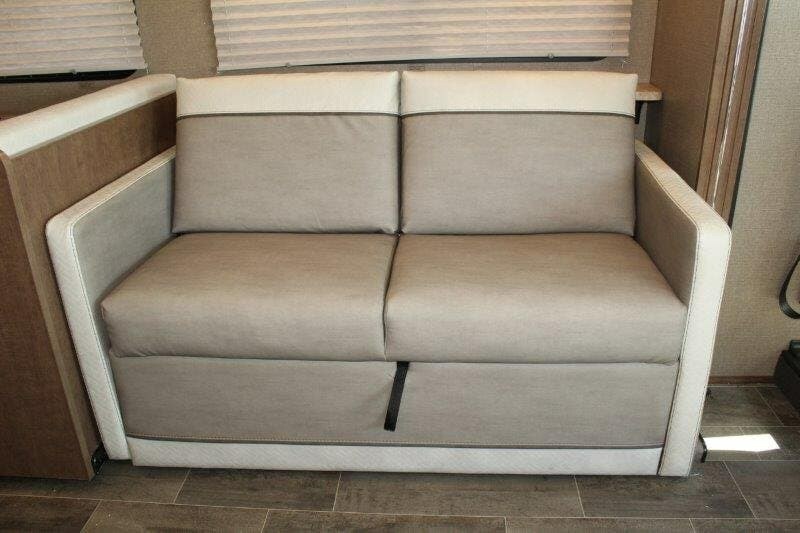 The multi-adjustable seats slide, recline, and swivel allowing you more living room seating. 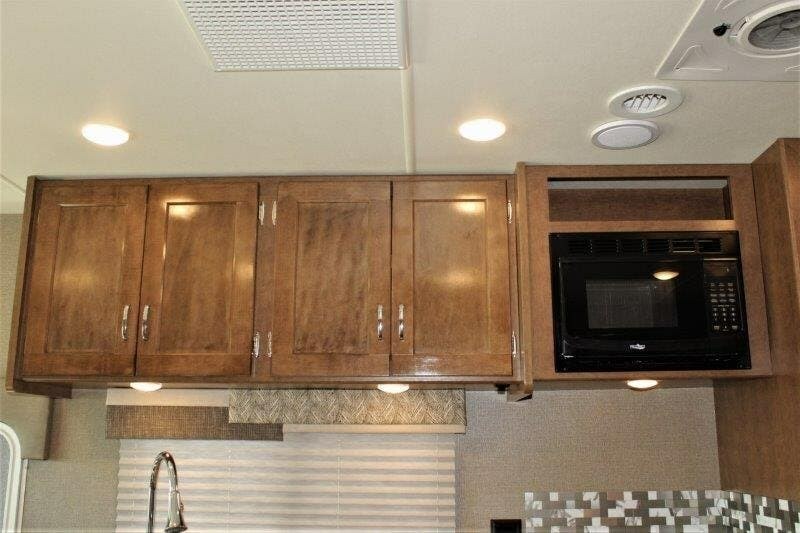 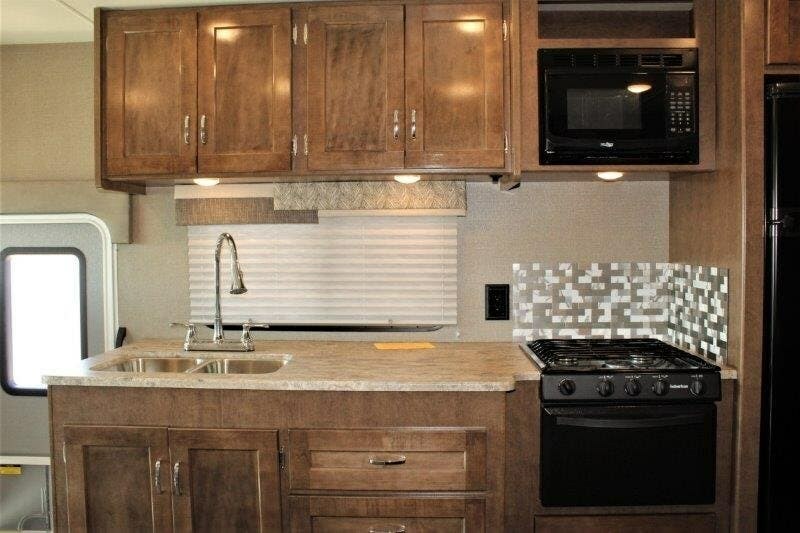 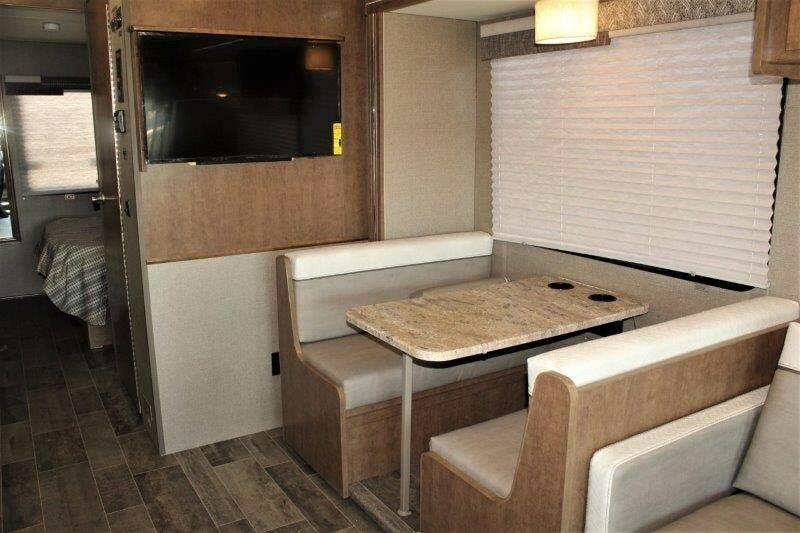 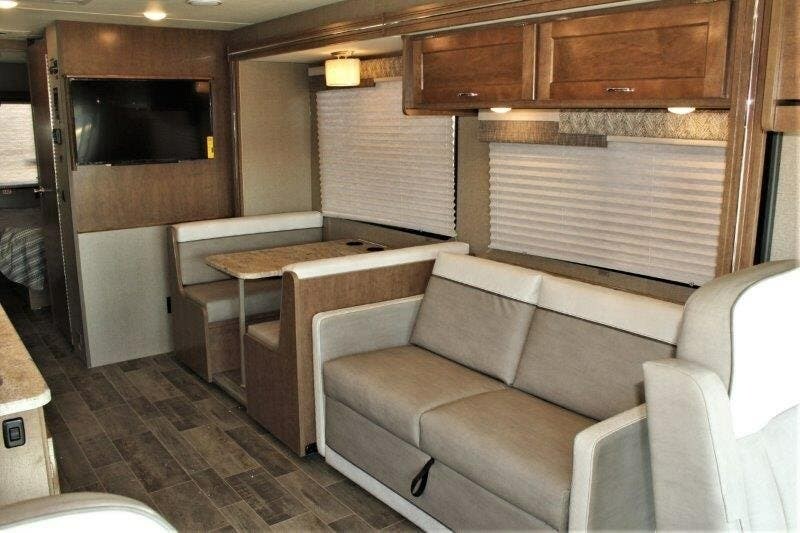 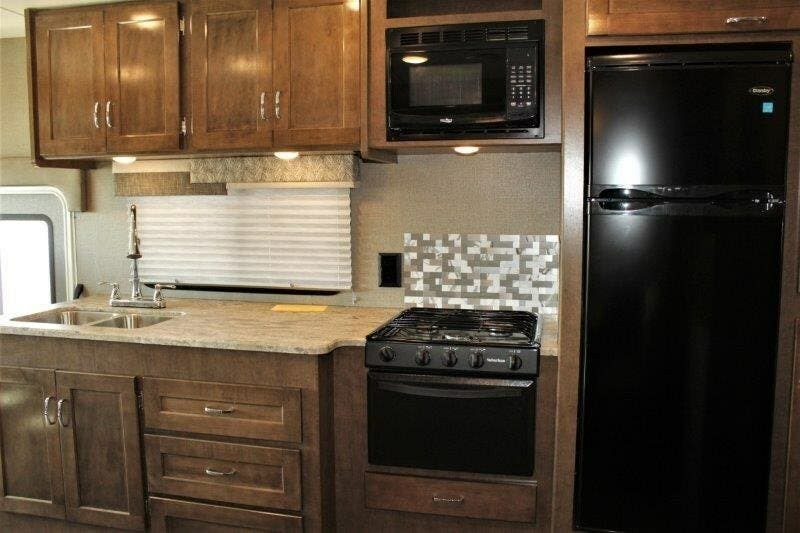 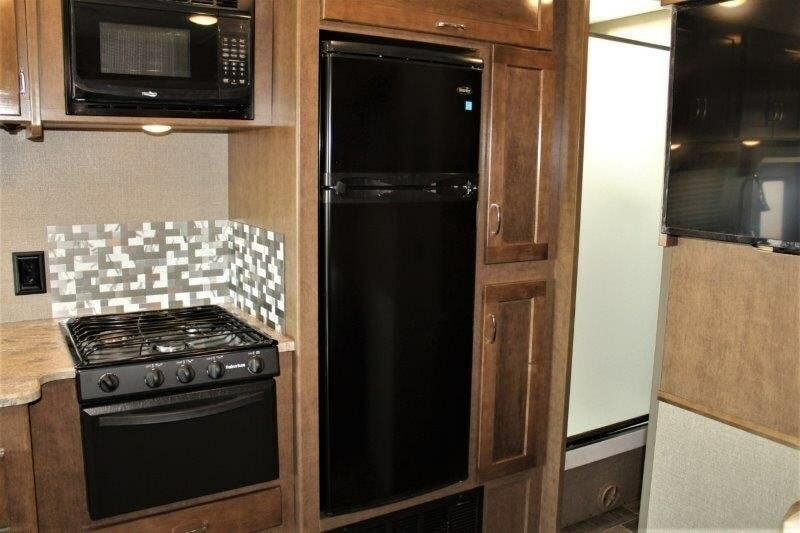 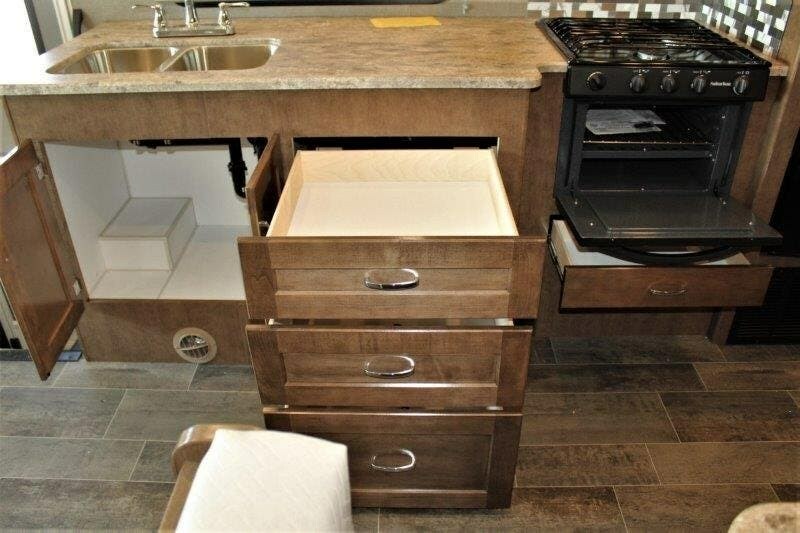 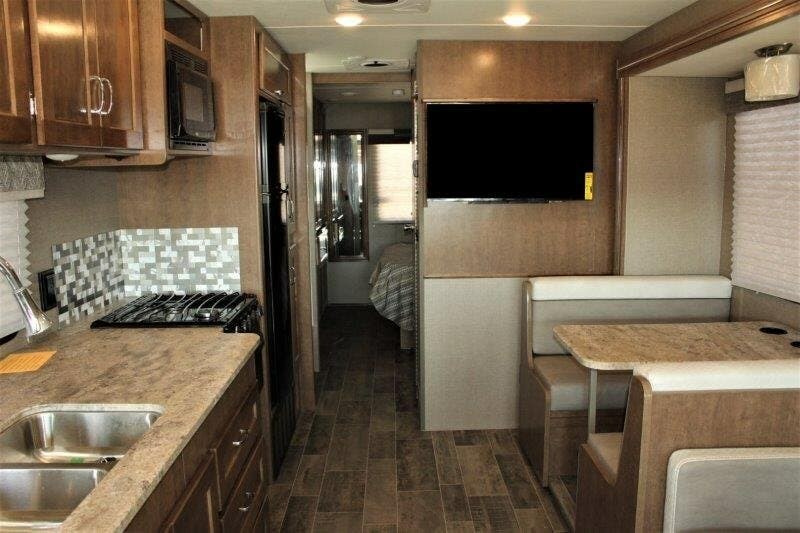 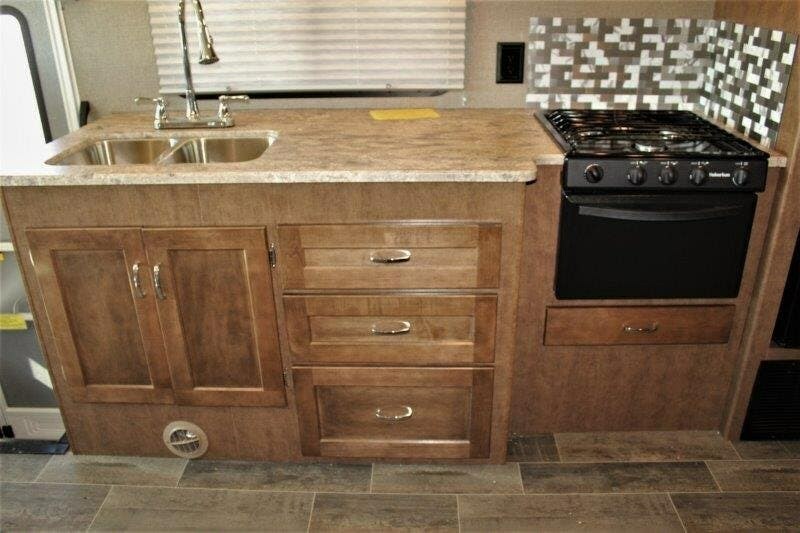 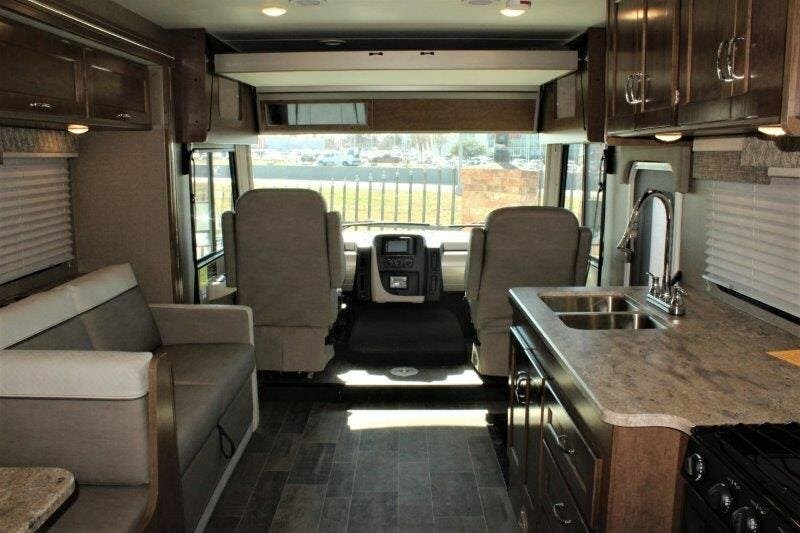 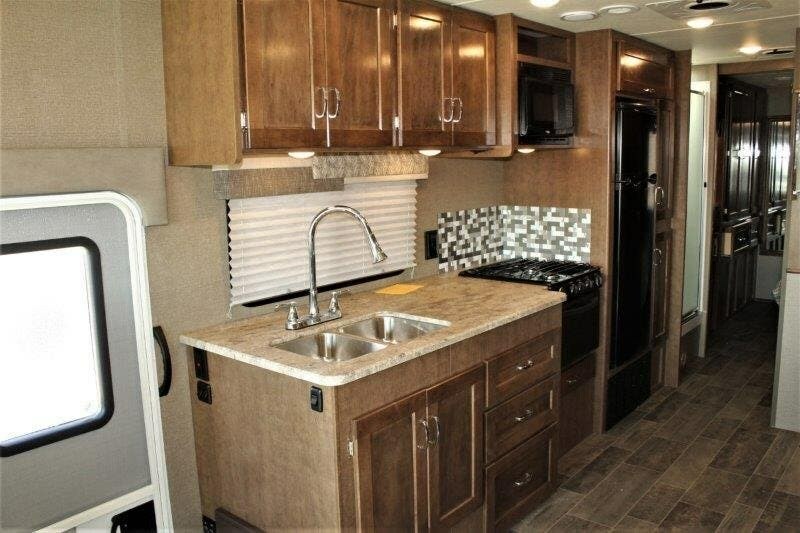 There is a multi-position cab table, as well as a StudioLoft bed for additional sleeping space.When it's time to cook your favorite meal, the double kitchen sink, three burner range, residential refrigerator, and pantry have you covered.The first slide out in the main living area includes a sofa bed and dinette. 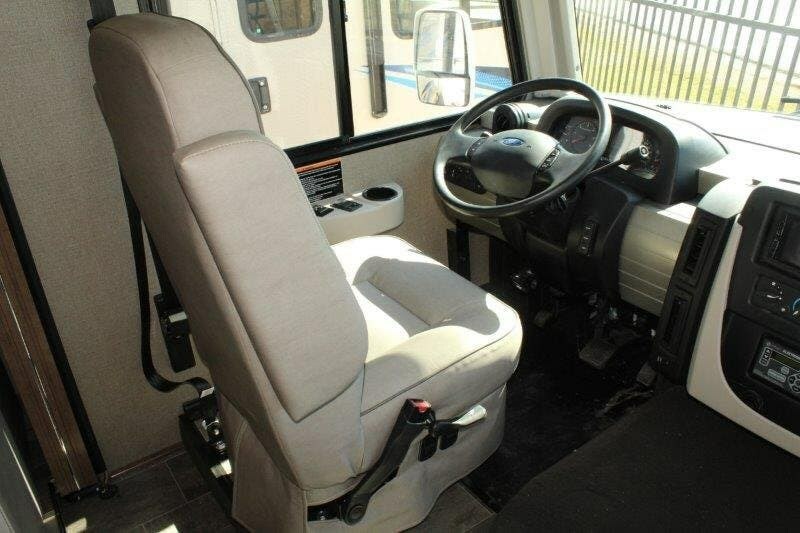 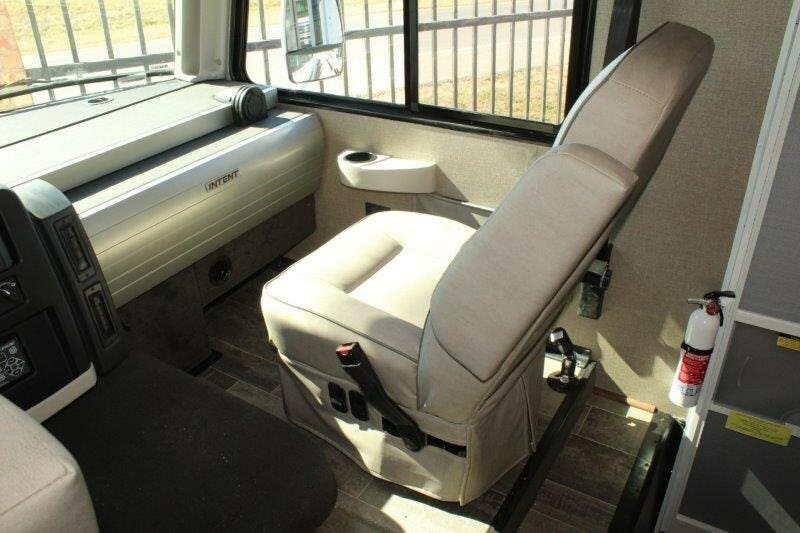 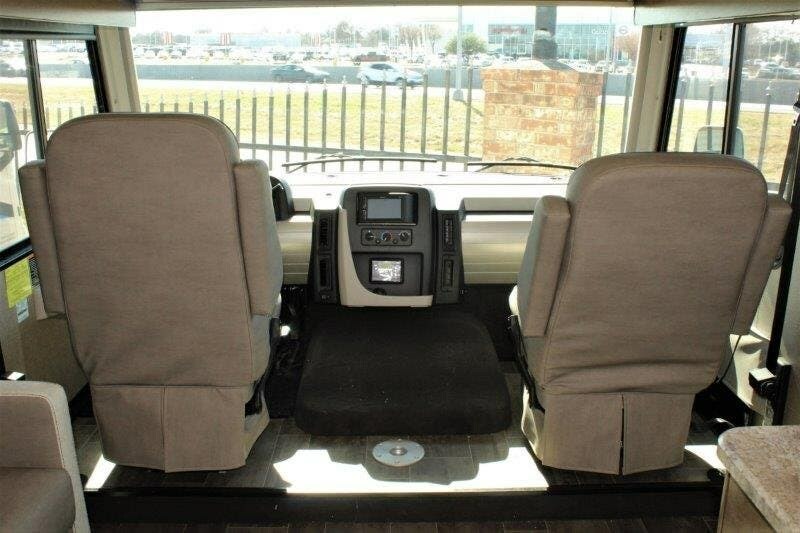 Both provide two sets of seatbelts each, and additional sleeping space if needed. 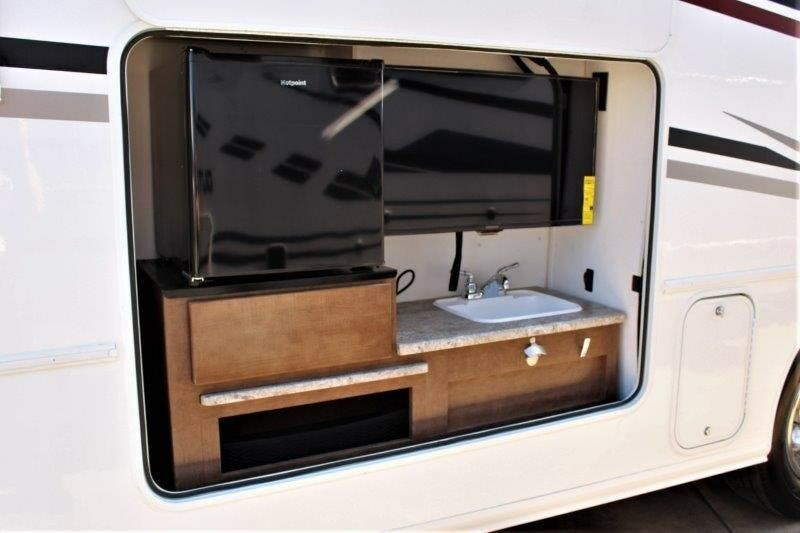 There is a TV along the interior wall for easy viewing from the living and kitchen area.Continue towards the rear to find a split bath. 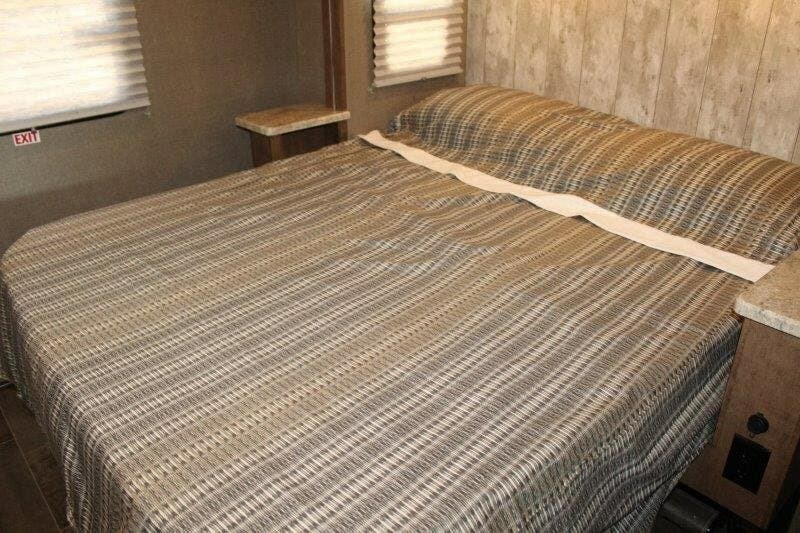 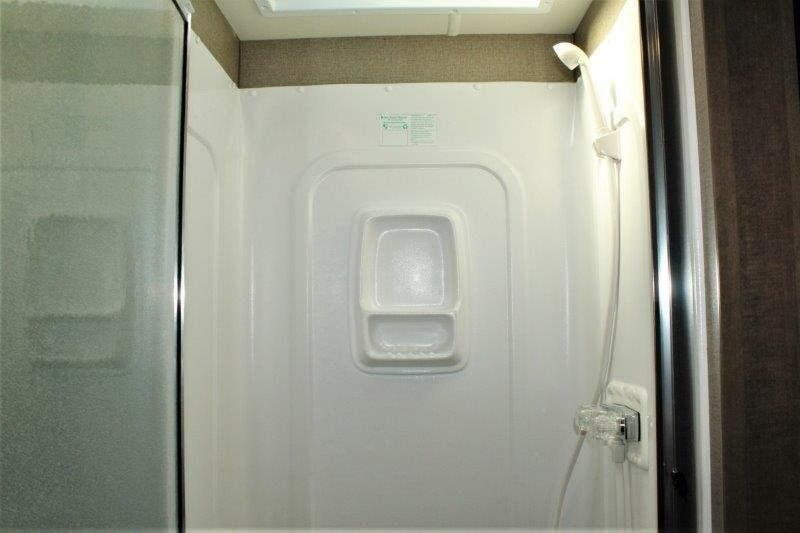 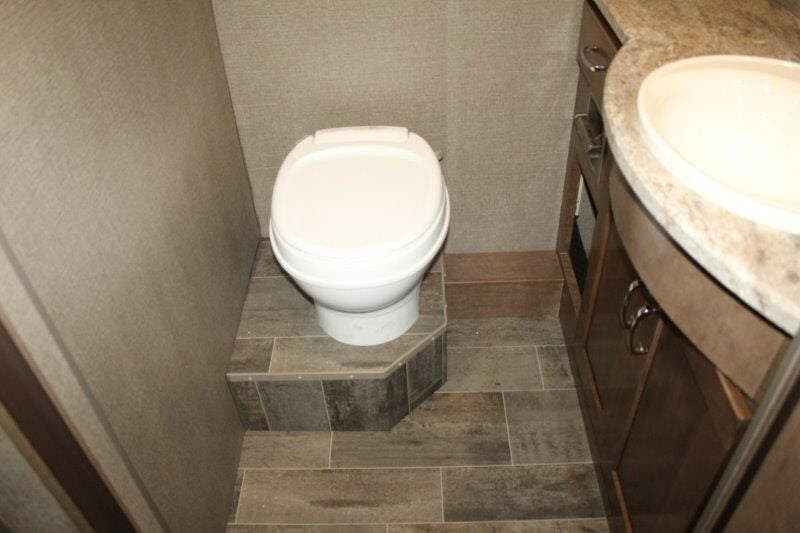 There is a private toilet and sink room to your right, and a shower to your left.Slide the rear bedroom door open to find the second slide out queen bed with nightstands along the roadside. 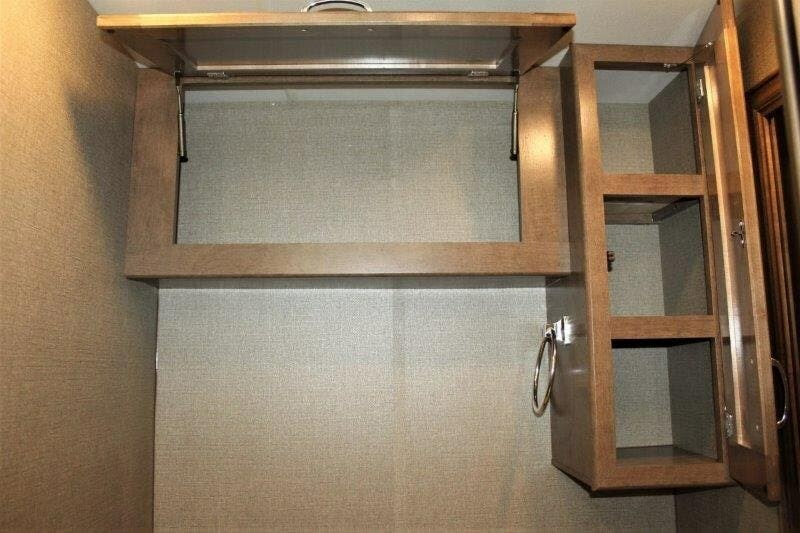 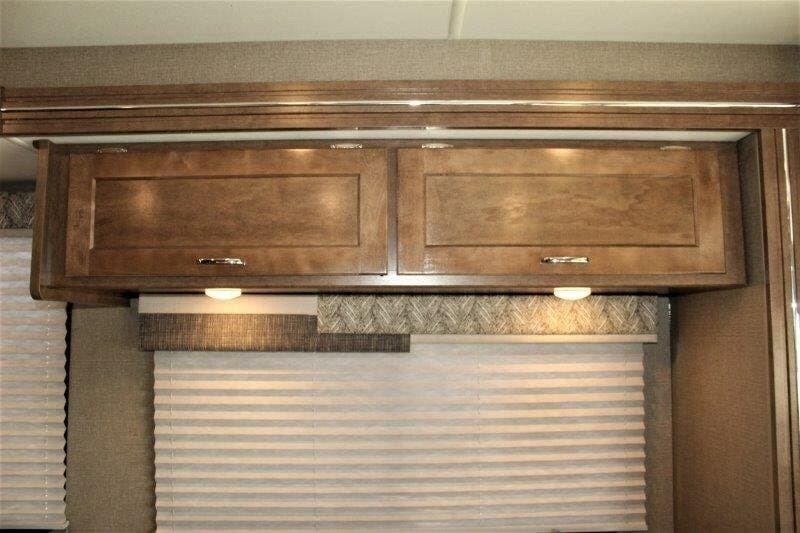 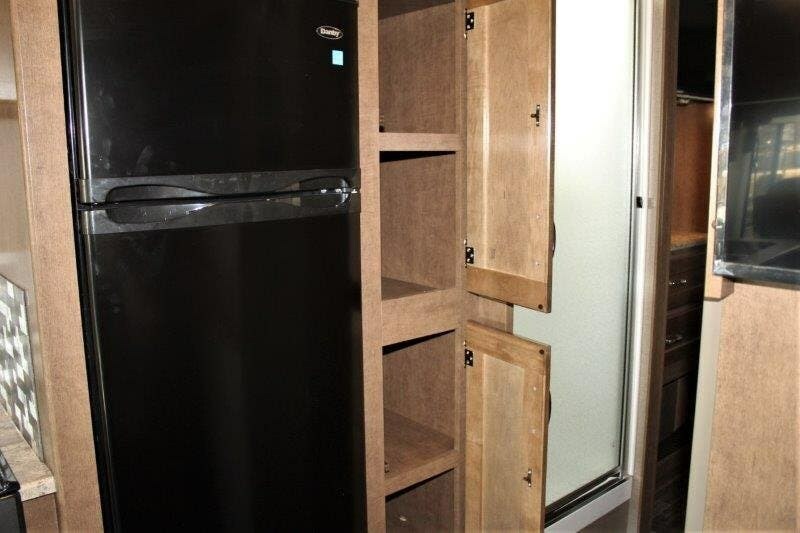 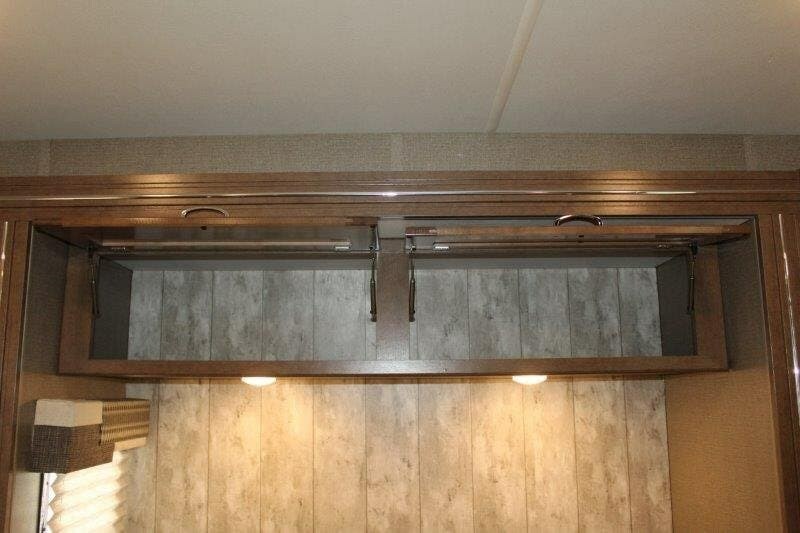 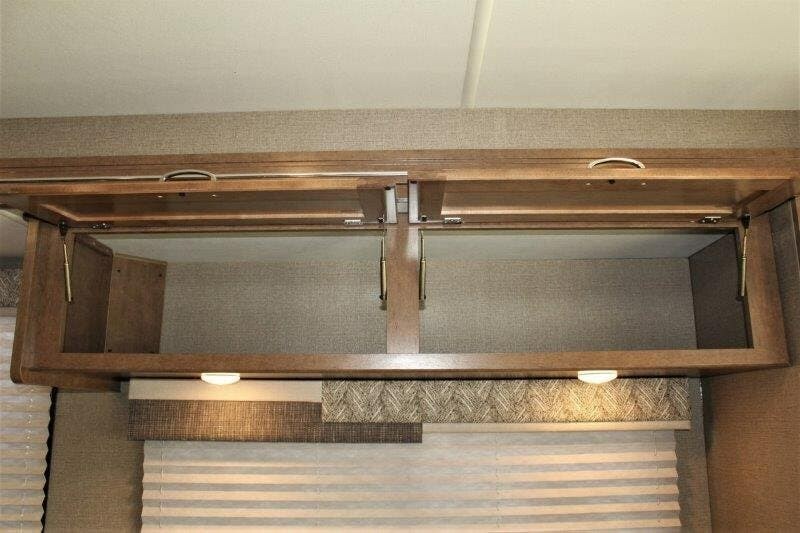 On the opposite side you can hang your clothes in the wardrobe, view the TV, and place more items in the additional storage provided.Outside there is a Tailgate package which includes a refrigerator, storage drawer, pull-out counter, cargo net, bottle opener, paper towel holder, sink/faucet, and a HDTV. 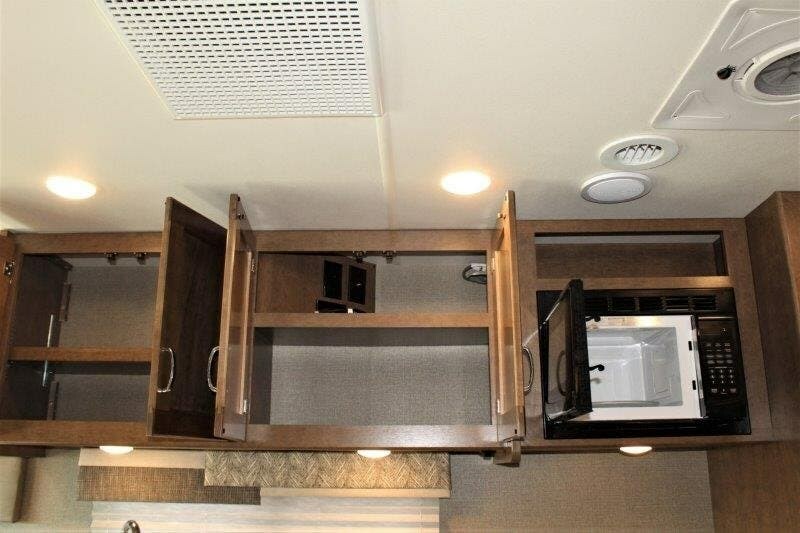 You are sure to want all these features on your next work trip, away-game, or family vacation. 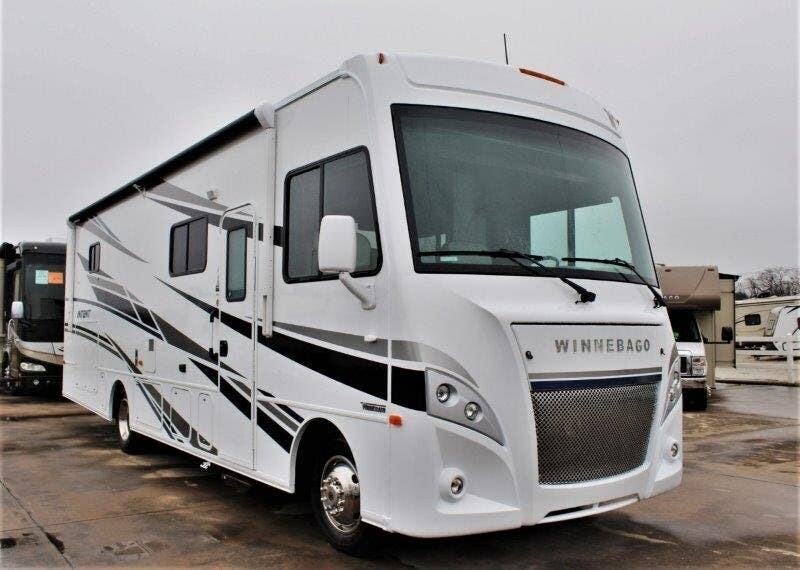 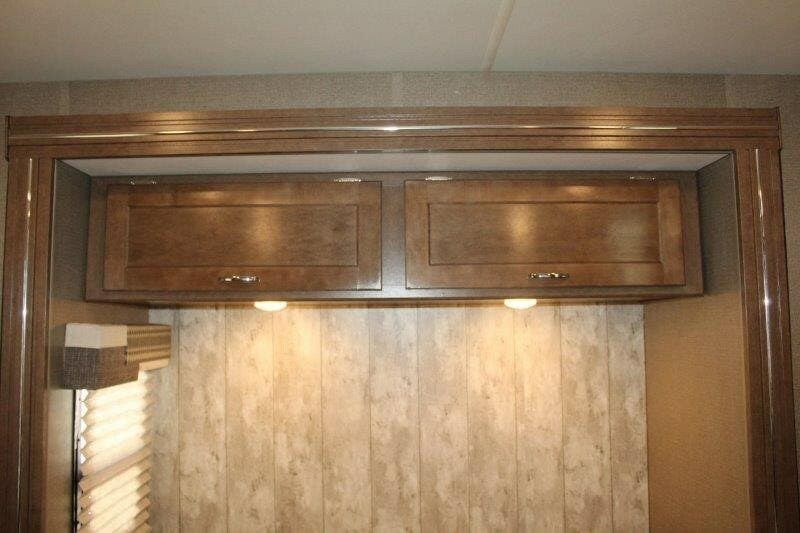 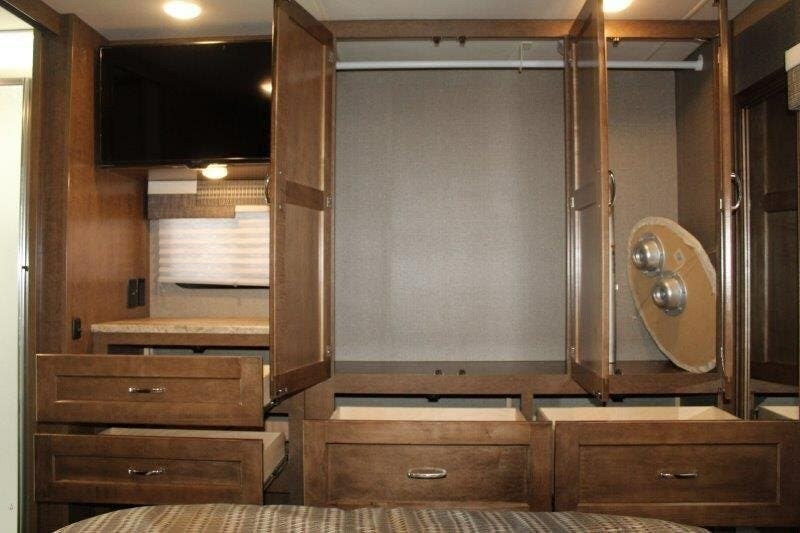 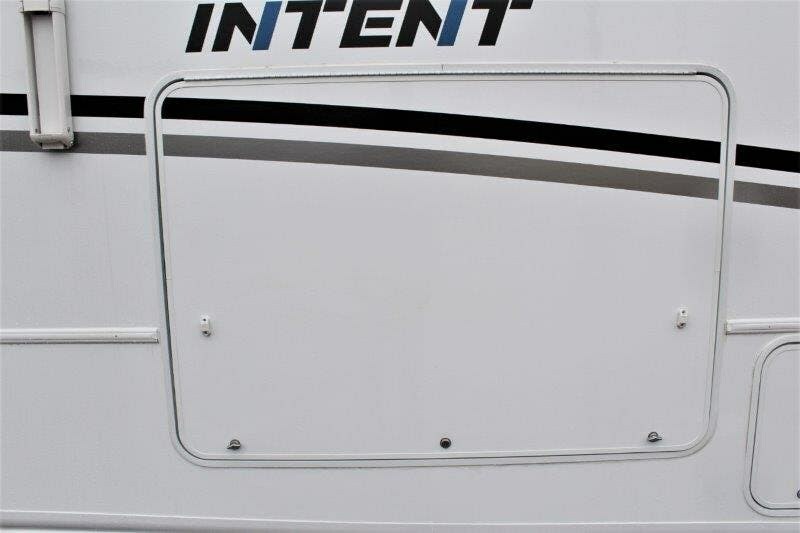 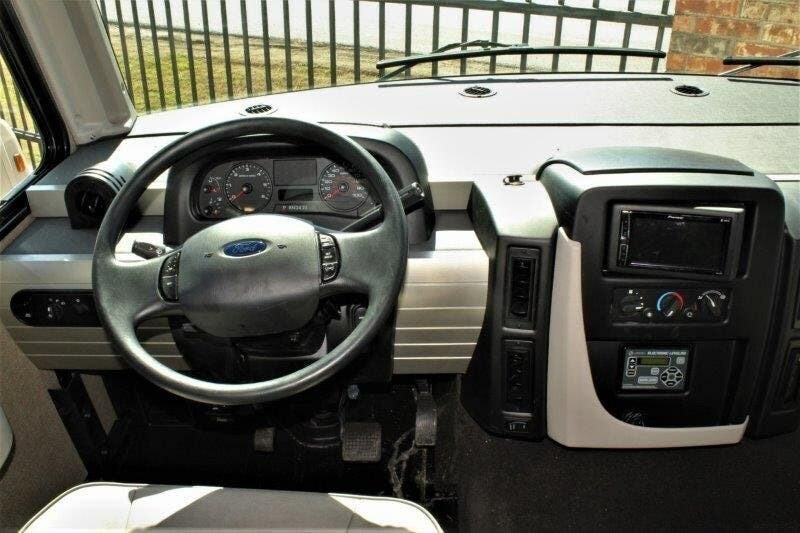 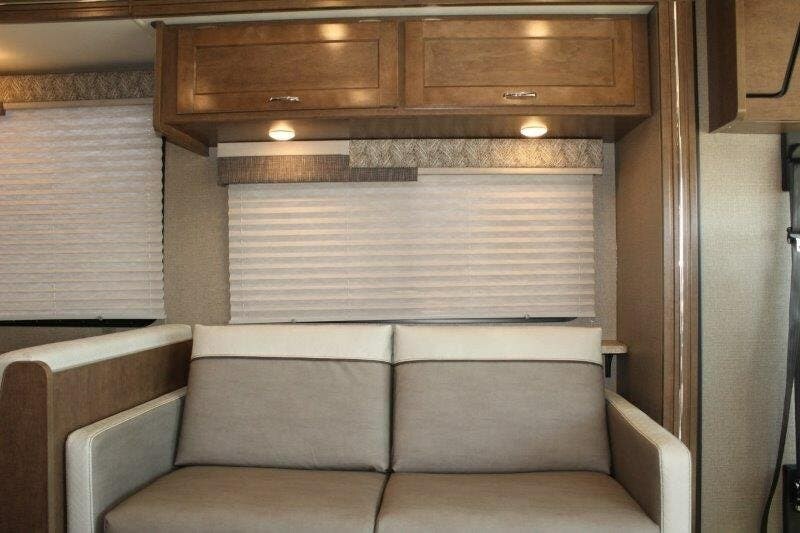 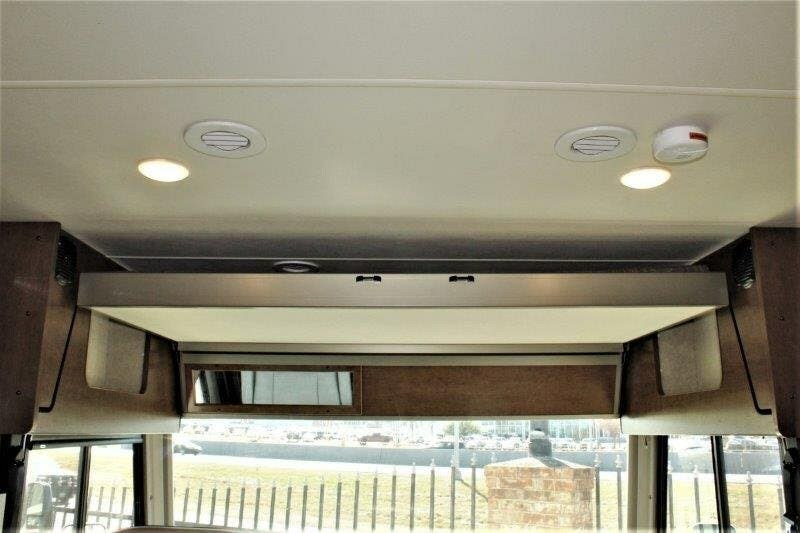 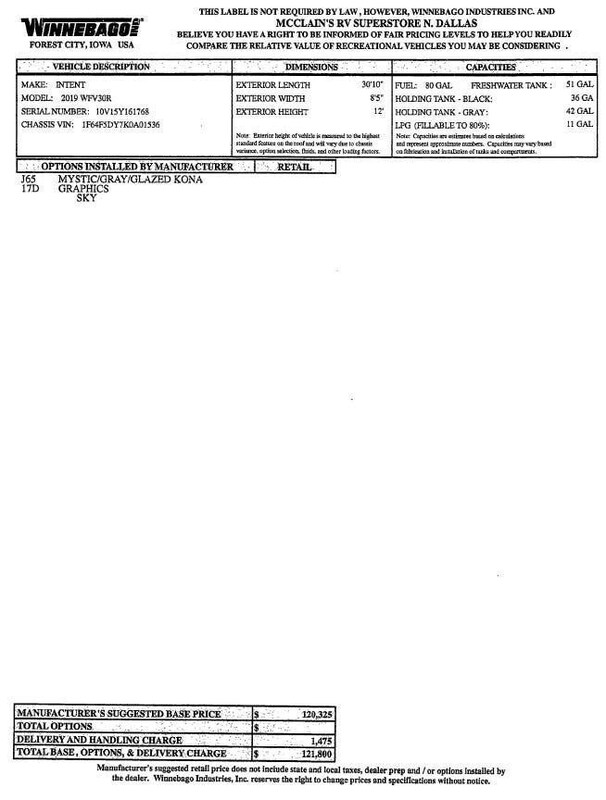 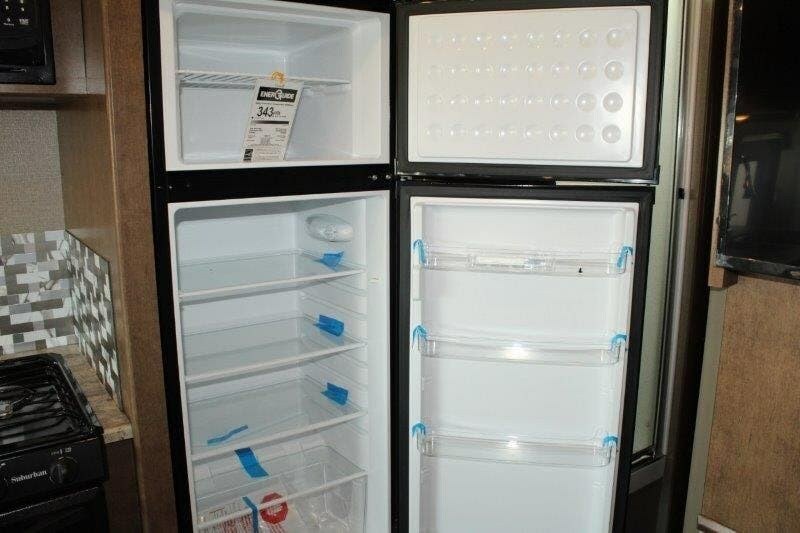 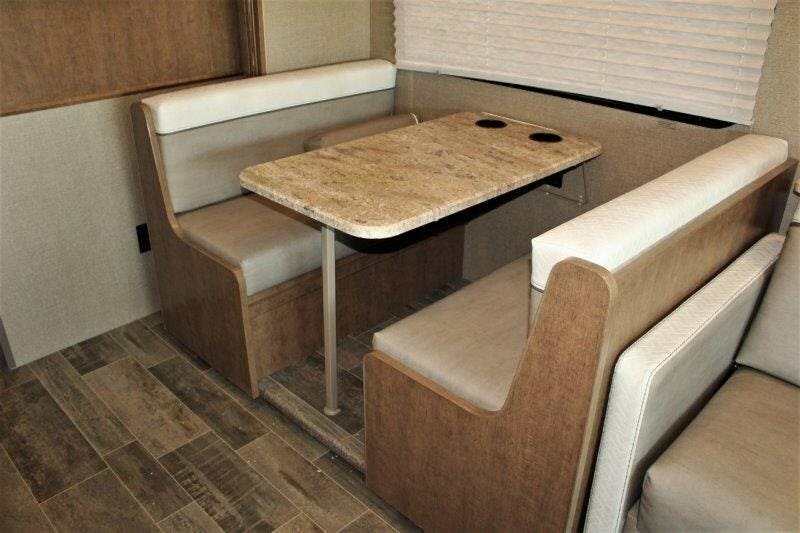 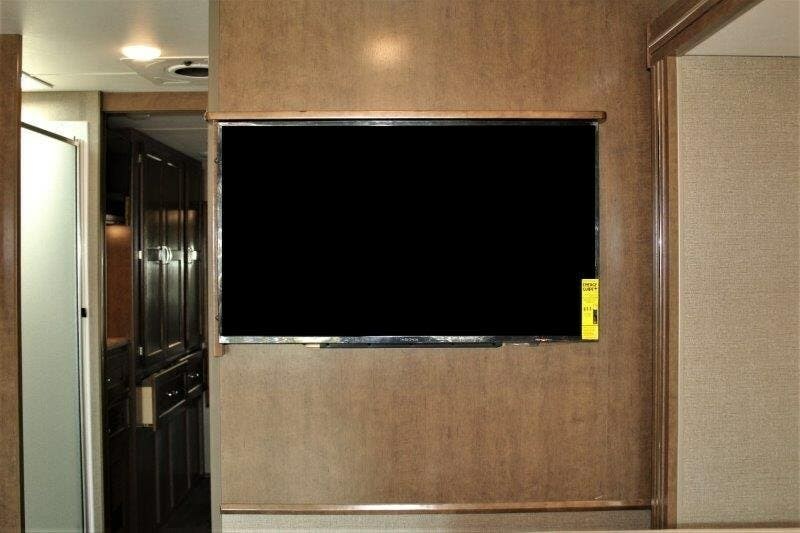 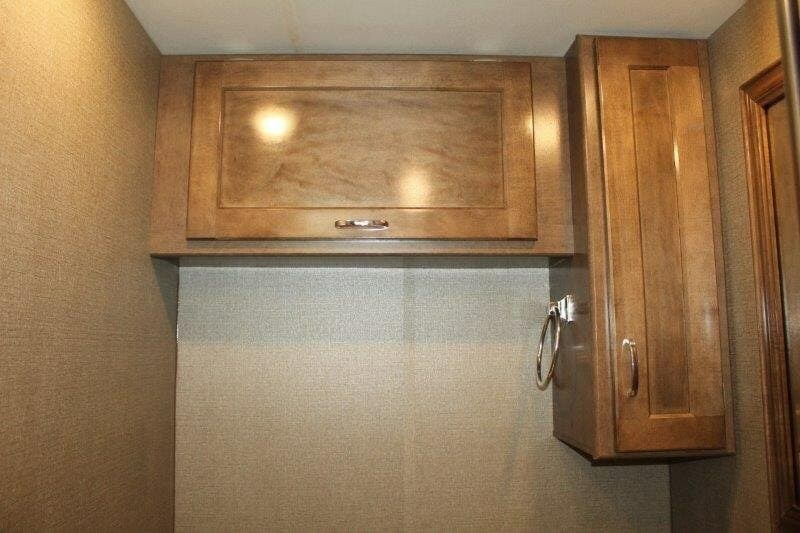 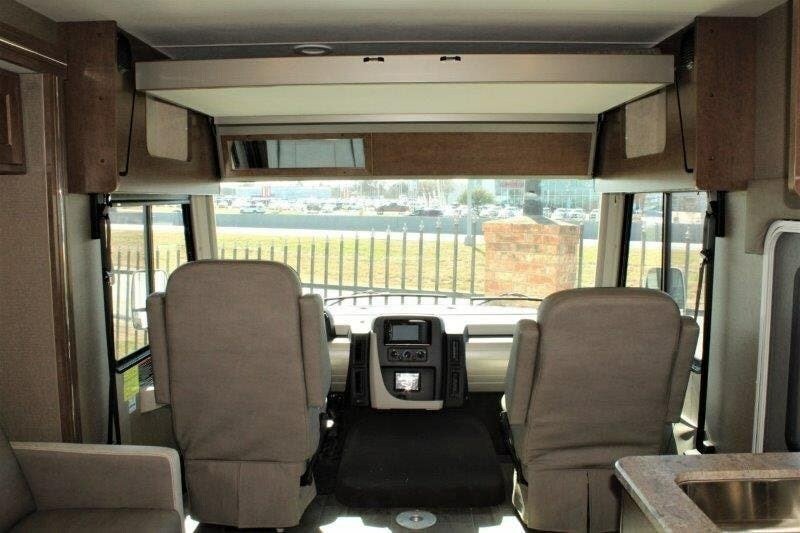 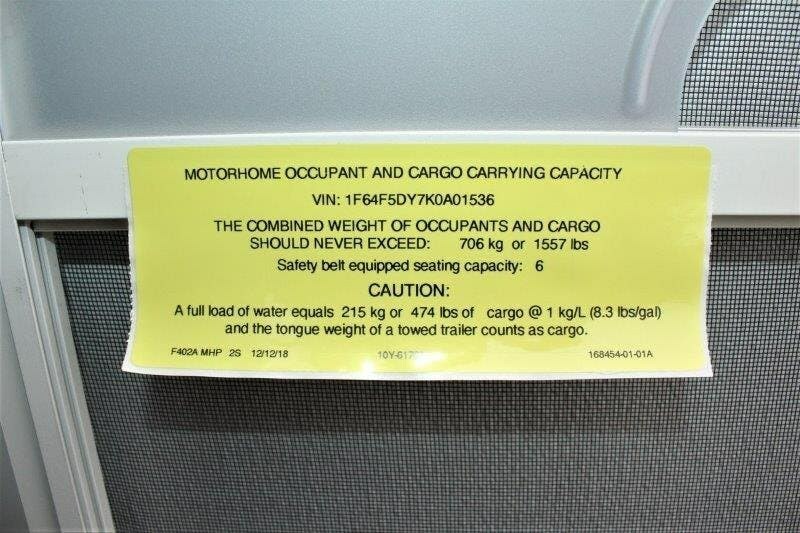 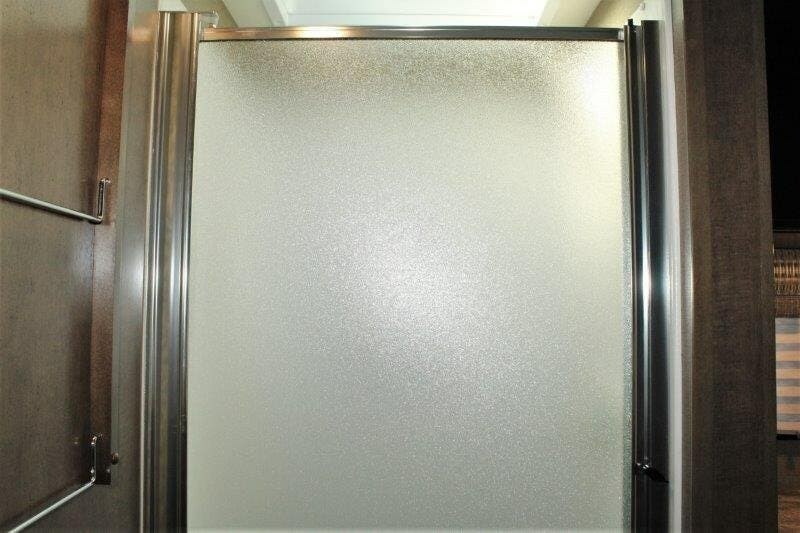 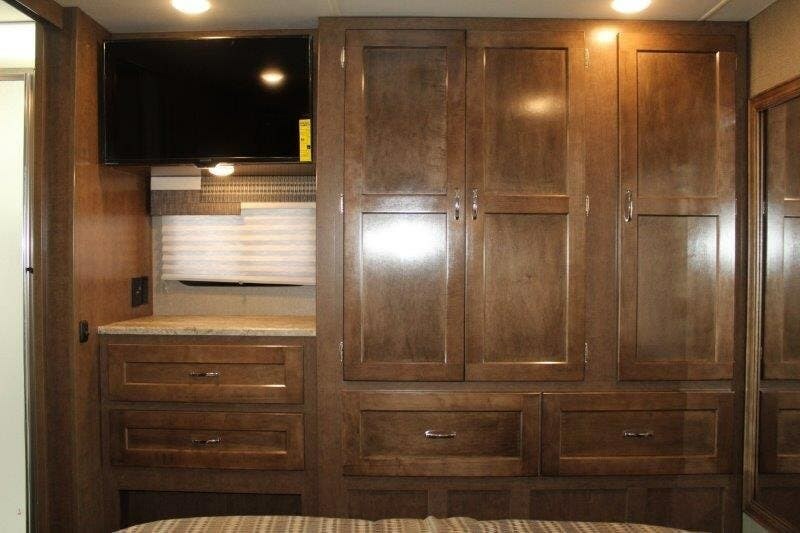 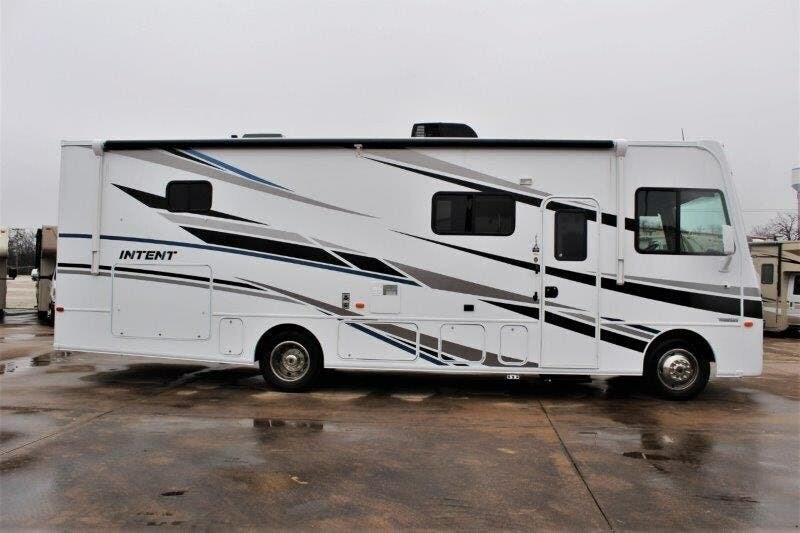 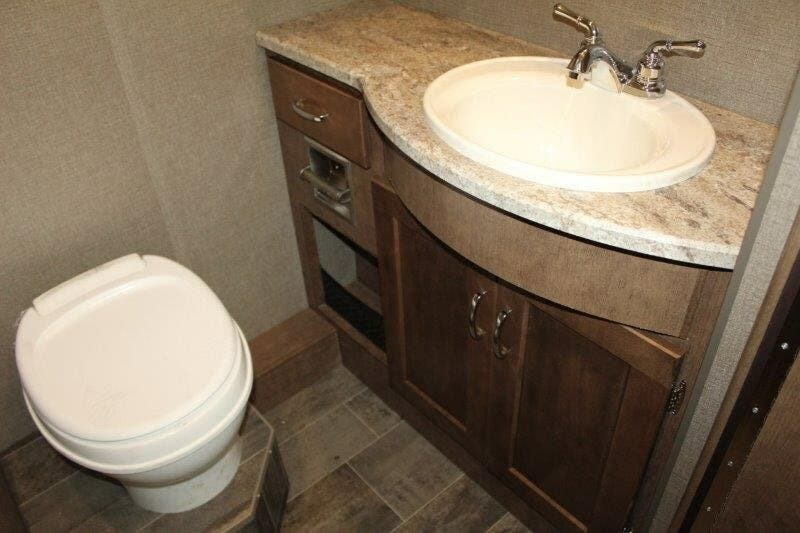 Check out Stock # 90330 - 2019 Winnebago Intent on winnebagorvsource.com!